Although fall may be approaching, the fashion world has decided to stray from dark colors. 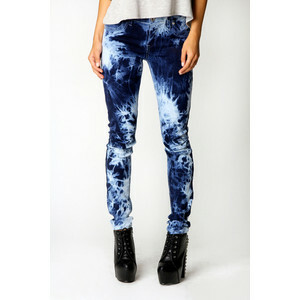 To keep the fun fall approach appropriate for the weather, the printed jean was chosen to spice up Fall 2012. 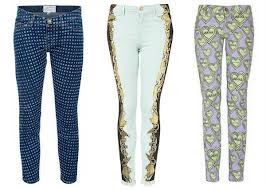 Above, you see stripes,animal prints, floral prints, tie-dye, and the ever-so whimsical polka dots print incorporated into jeans. 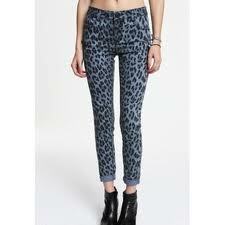 Making your jeans the focal point of your outfit allows you to wear a basic top and bold shoes. 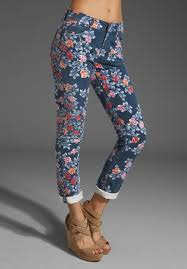 Pick a color within your jean pattern to come up with a top option if you would rather not just wear a black or white top. For day time, thrown on some oxfords and switch out your oxfords later on for killer wedges/heels to rock the night.